Mobis Phoebus knocked down KCC Egis on the road to win the series 3-1. The guests took control from the first minutes by winning first half. But KCC Egis won third quarter 26-19. However it was not enough to take a lead and get a victory that evening. They outrebounded KCC Egis 45-32 including a 17-6 advantage in offensive rebounds. The former international forward Ricardo Ratliffe (203-89, college: Missouri) fired a double-double by scoring 18 points and 18 rebounds for the winners. 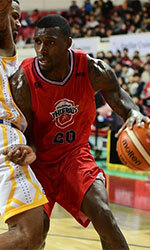 International forward Dae-Sung Lee (192-90, college: BYU-Hawaii) chipped in 21 points and 7 assists. American Brandon Brown (201-85, college: CS San Bernar.) 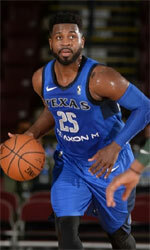 produced a double-double by scoring 25 points and 10 rebounds and his fellow American import point guard Marcus Keene (180-95, college: Cent Michigan, agency: Pensack Sports) added 24 points and 4 assists respectively for lost side.